In the EXO range of iJoy products, the EXO RTA offers unrivalled flexibility by providing a single and a dual coil set of build deck along with compact, quality base hardware. 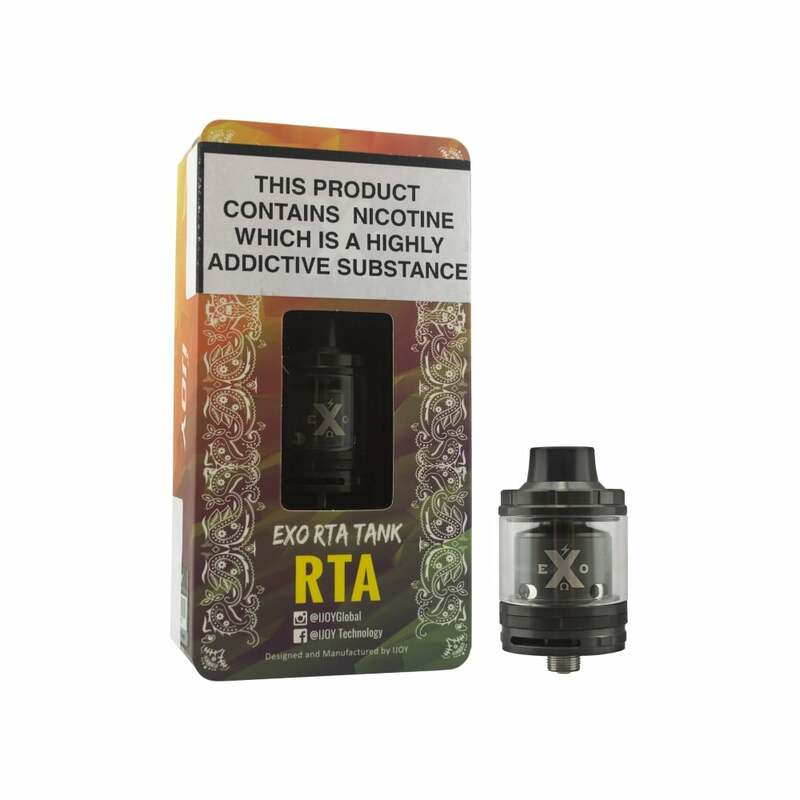 The EXO RTA holds up to 2ml of e-liquid and measures 26mm in diameter, perfect for those towards larger box mods. Built with versatility in mind and made with precision, the iJoy EXO RTA is a durable, attractive and functional tank that bridges the gap between pre-made coil heads and full-blown drippers with a uniquely compact form factor and outstanding performance. A Rebuildable Tank Atomizer (RTA) is a tank setup featuring a rebuildable coil in place of a pre-built coil head. A rebuildable coil is made up of a base and a deck on top to which you attach wire and wick. RTAs are favoured by some due to their customisability; they allow you to tweak your vaping experience in a way that pre-built coils simply can’t. On top of that, RTAs give you outstanding flavour and vapour production, and save you having to buy expensive replacement coil heads!